Do you have a bunch of paper plates left over from the last BBQ? Did you realise you are sitting on a crafting gold mine? 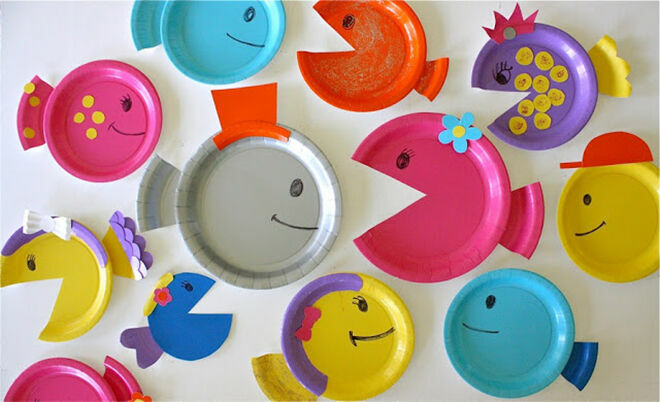 There are so many different projects to keep budding artists creating for hours with paper plates. 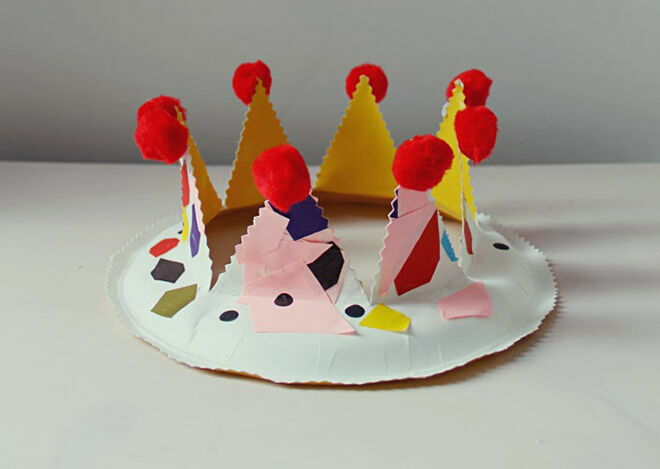 Get yourself inspired with our list of the 15 greatest paper plate craft ideas. This one is so easy you will wonder why you didn’t think of it yourself. 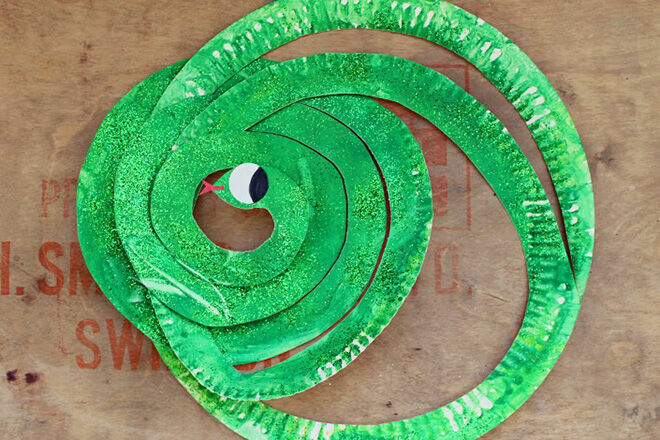 Paint a paper plate and cut it in a spiral and you have yourself a snake. Kid-play-do made this glittery green reptile and you can find instructions on making a lion too. 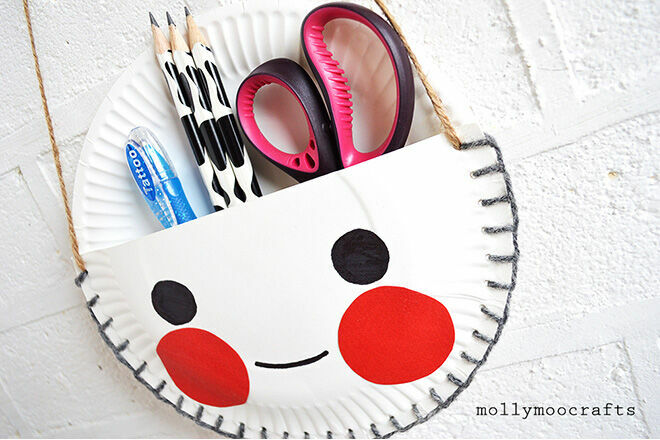 Is their too much rosey-cheek goodness in this little paper plate organiser? We think not! Pop over to MollyMoo for all the instructions to make your own. 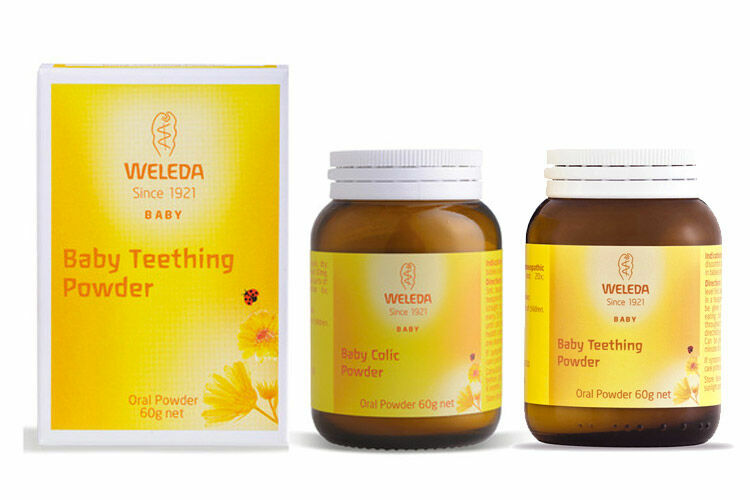 No more chasing a pot of gold at the end of the rainbow – you can make one. I Heart Crafty Things uses one half of the plate for the pot and the other for the rainbow. A good one to keep up your sleeve for a rainy day. This is by far the easiest paper craft there ever was. 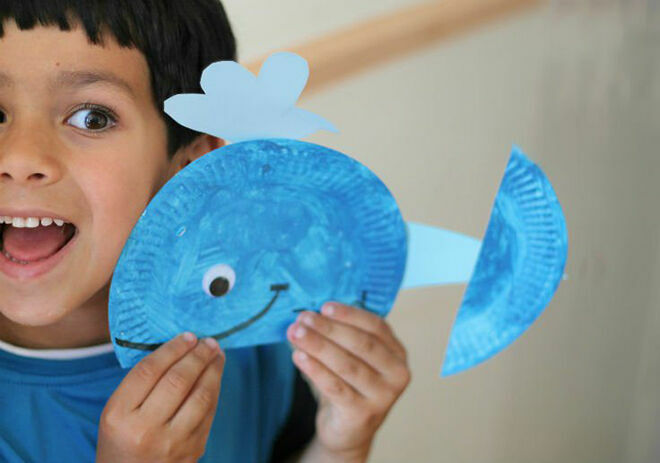 Cut a triangle out of a paper plate, turn it around and attach it to the other side and you have a fish! 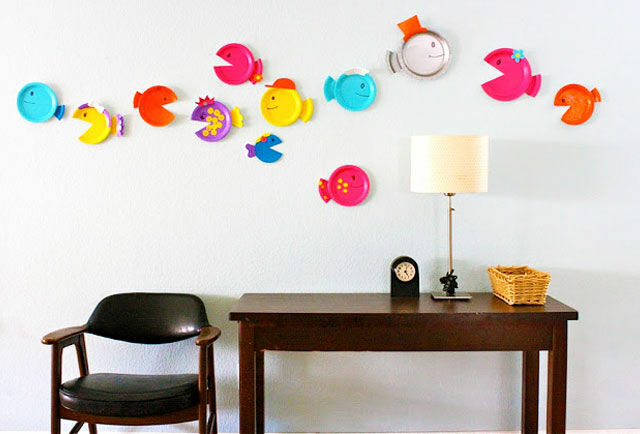 Dana Made it has used coloured paper plates to mix up the fish but you could paint any plates you have lying around. 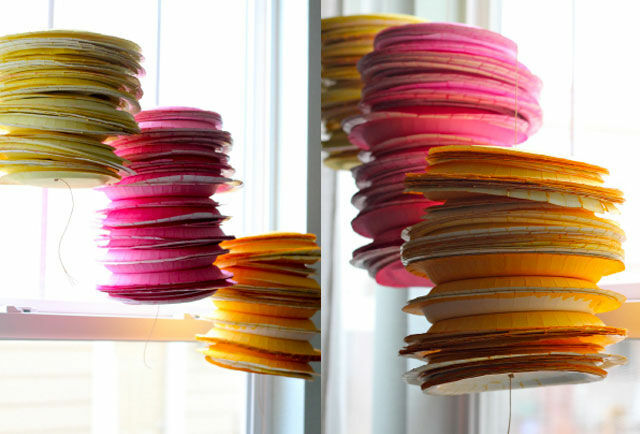 For an in-expensive party decoration try making these paper plate lanterns. You are my Fav has used fabric dye to make these lanterns have a vibrant colour but you could use food colouring or let the kids paint them. Crafts by Amanda has come up with a craft which is good enough to eat! Whether you want to squeeze out a lemon or cut up a watermelon this activity should be definitely done while eating fruit. There is always a day-after birthday party slum. Keep everyone happy with a craft project using left over party supplies. 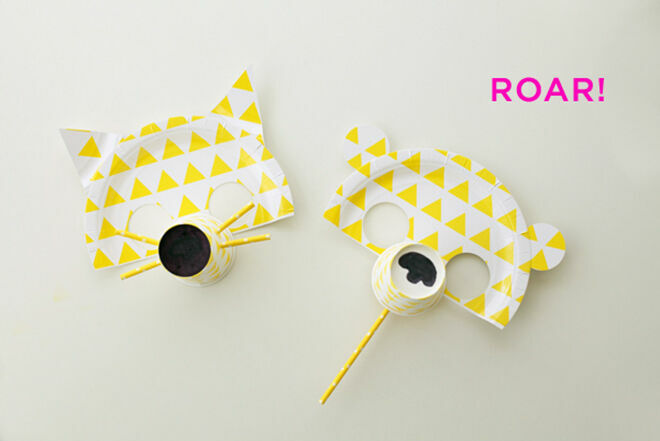 Use the cups for the nose, straws for the whiskers and when you cut out the eyes they become ears. Take a look at Sweet Lulu for instructions. This would be a fabulous party activity for pretty little Princesses. 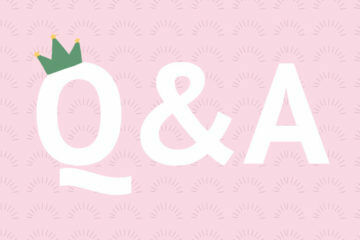 Just paper plates cut in the middle and decorate with paper and stickers to make a crown. Kid-play-do has used crafting scissors to make the jagged edge but you could use regular scissors. 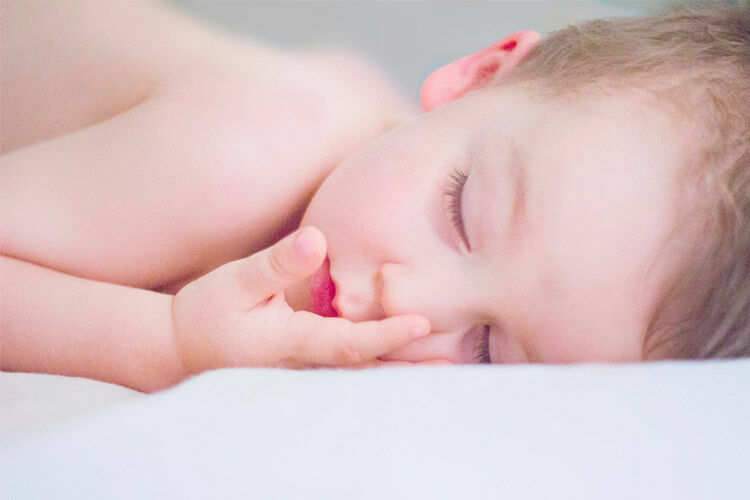 The best craft projects are the ones that keep the kids entertained for a LONG time. And this is one of them. 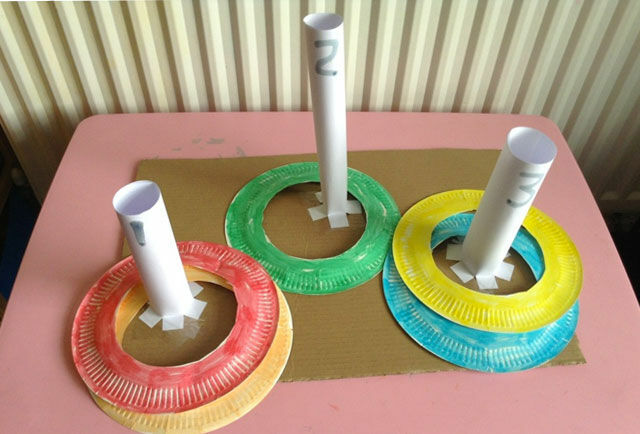 We found this idea over at Fun With Two and you can get the kids making and then playing their very own ring toss. 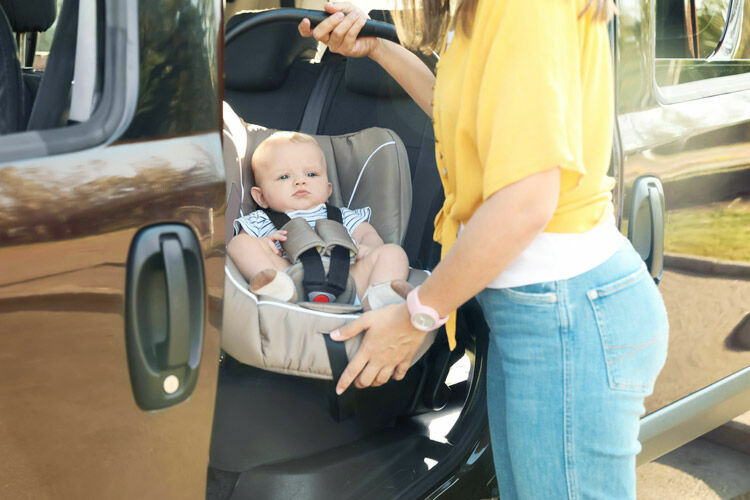 Meaning plenty of mum time for you. 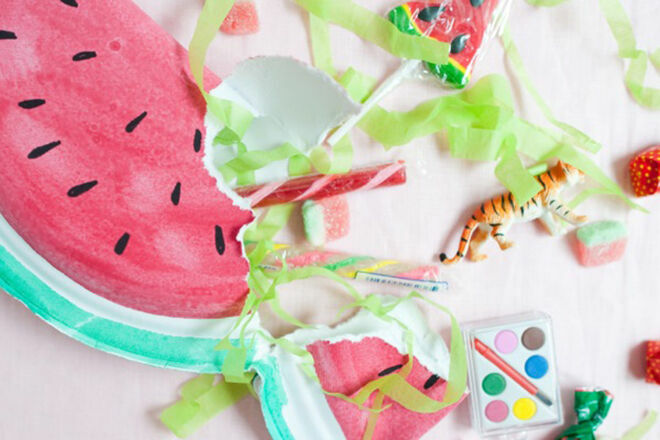 If you are as Watermelon obsessed as us you will love this DIY from Oh Happy Day. 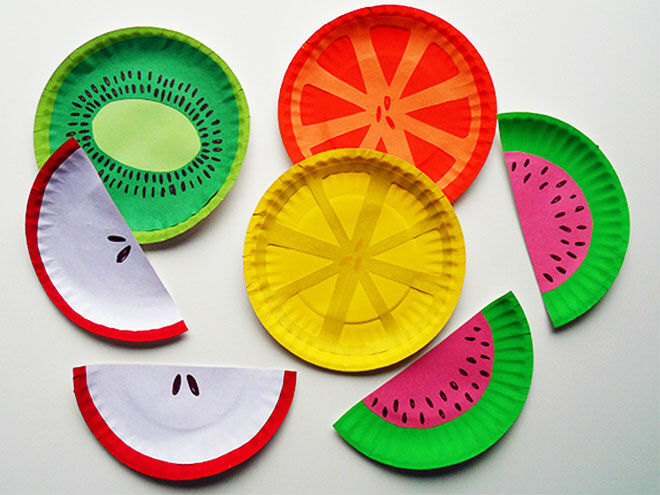 Turning a paper plate into a watermelon party favour bag filled with lollies and toys to grab as you leave. Such a simple idea with loads of impact. If the kids are into all things fishy why not try this big blue whale. Instructions can be found at In the Playroom and with just one paper plate, blue paper and a bit of paint and you’re done. We all know our little munchkins have a big heart and with this craft idea from Alpha Mom the whole world will know. 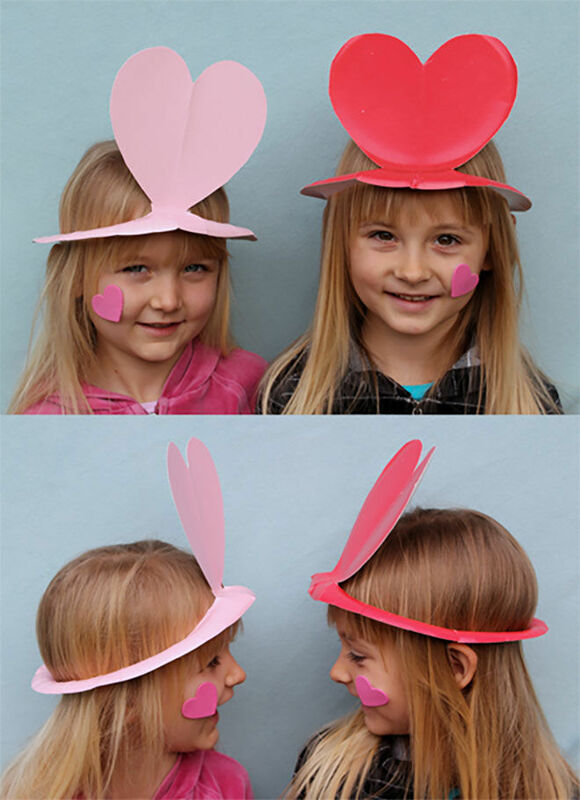 She turns paper plates into hearts, stars, bat wings and the bunny ears – keep that up your sleeve for next years Easter hat parade. 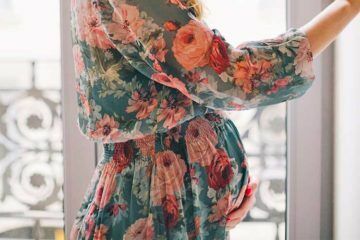 This one is less about kids and more about Mums. 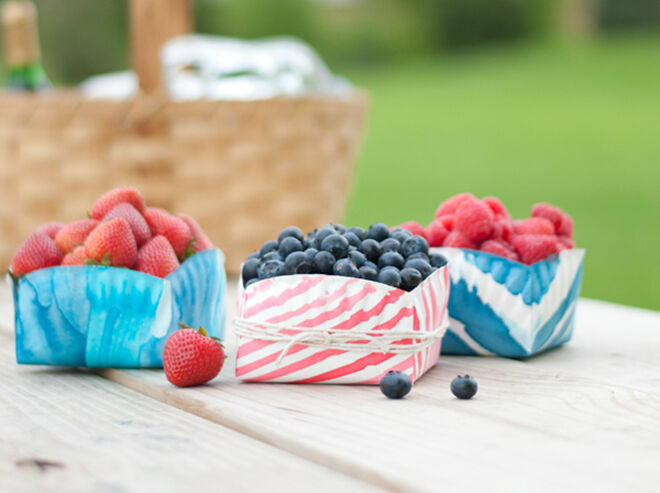 Dress up your berries for outings with a cute little berry box. This heart of mine has used paint and string to make box to display berries. Will definitely add a ‘wow’ factor to play dates and picnics in the park. Fly into space with this spaceship by from Craft by Amanda. 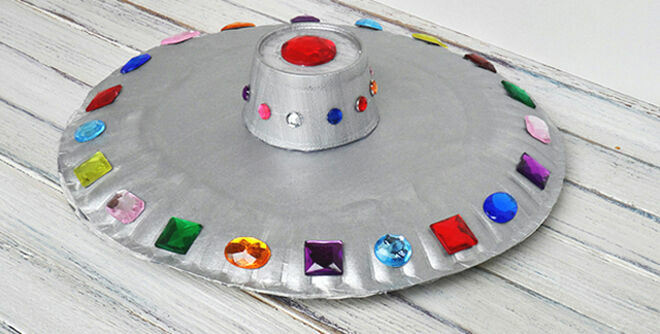 Just a little bit snazzy with all those jewels or you could keep it easy and use stickers either way the kids will love it. While these are technically paper bowls….we figured they were too cute to leave out. The Consortium Early Years have made this easy with a full video on how to make these gorgeous creatures. 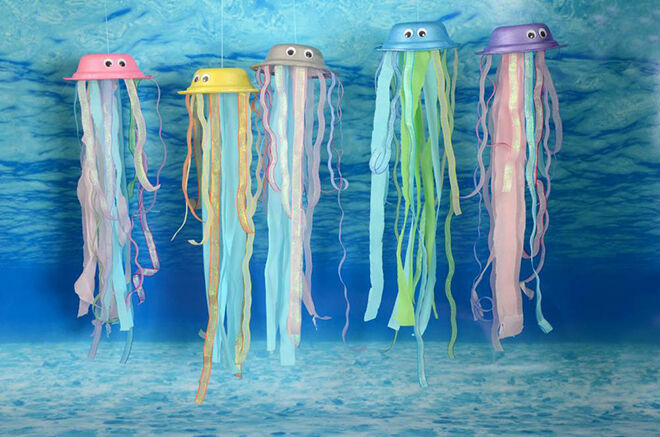 Anyone for an undersea party?